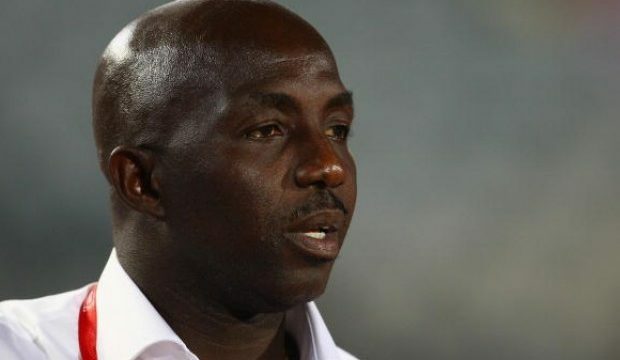 Former Super Eagles coach, Samson Siasia is happy with the friendly matches lined up for the Super Eagles ahead of the 2018 FIFA World Cup finals. The Super Eagles will take on Poland, Serbia, DR Congo and England before the World Cup which is scheduled to be hosted by Russia. “It is a joyful thing for every Nigerian that we have qualified and going to fly our flag in Russia but as we all know, World Cup is all about preparations,” Siasia said. “The coach (Gernot Rohr) and the FA need to do everything possible to carry out the World Cup plans. Fine, we have seen partnerships here and there but we need to do so much more. “Personally, I will commend Nigerian Breweries for coming up to partner with the NFF, because they need something like that to make things easy for them ahead of the World Cup,” he said. “And for Nigeria Breweries to partner the NFF, it means they believe in the Super Eagles and what Nigeria can do at the World Cup. “Like I said that World Cup is all about preparations, I am happy to hear that we are playing friendly matches with England, Poland and a few others. These games will definitely help the coaches and the players to prepare well for the World Cup,” Siasia concluded.